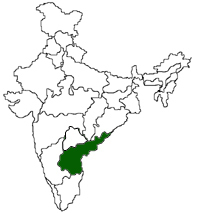 Andhra Pradesh is the third largest state in India and it forms the major link between the north and the south of India. It is the biggest and most populous state in the south of India. Andhra Pradesh lies between 12o41' and 22o longitude and 77o and 84o40' latitude. It is bounded by Madhya Pradesh and Orissa in the north, the Bay of Bengal in the east, Tamil Nadu and Karnataka in the south and Maharashtra in the west. The state is dotted with hill ranges from the north to the south, running erratically down the middle of the country dividing it into western and eastern or coastal Andhra. AP is one of the agriculturally rich and food grains surplus states of the country. 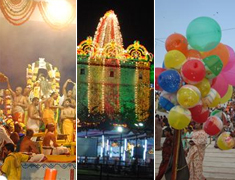 Andhra Pradesh is the third largest state in India and it forms the major link between the north and the south of India. 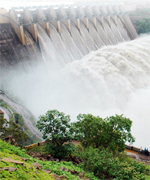 It is the biggest and most populous state in the south of India.